The Verito Vibe may look like a hatchback at first but it actually has a fixed rear windscreen, which technically makes it notchback. Unlike most of the competition that began with a hatch and engineered a boot later on, Mahindra went the other way around by lopping the boot off a Verito sedan. The effect is obvious because, besides some smart looking 14-inch alloy wheels, a new carbon-shade grille and smoked headlamps, the rest of the car is identical. The benefit of the exercise is that Mahindra now have a very spacious boot by hatchback standards, but using the 330 litres of space can be tedious thanks to a high and narrow loading bay. Mahindra haven't given the Vibe a rear wash wipe either. The styling highlight has to be the Ford Focus/Volvo style pillar-mounted LED tail lamps. The LED elements are a segment first and we have to admit that they do look rather fetching once the sun goes down. The rest of the car remains the inoffensive but insipid design we've gotten used to with the Verito. The Vibe's interiors are identical to its booted brother. And that's a good thing because Mahindra can now claim that they have one of the largest cabins the segment. 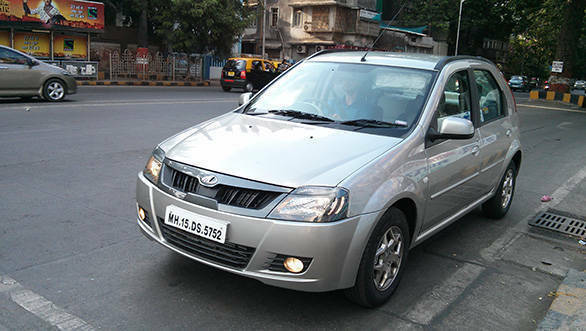 The car is a good 50mm wider than the Swift, the segment best seller and should seat three abreast in much more comfort. Shoulder room measures identical to the Verito sedan at 1420mm, which is a whopping 210mm more than the Maruti Suzuki Swift, and 250mm more than the Ford EcoSport! The centre console, gear knob, etc are all taken straight off the Verito. Kit levels are decent with the top end D6 model getting a 2-DIN sound system, ABS with EBD and a single airbag for the driver. The front passenger will simply have to rely on faith in the driver. Again, the Vibe feels very similar to the Verito. Power comes from the same Renault 1.5-litre K9K engine that produces 65PS and 160Nm of torque. Drivability never gets exciting, but the car offers great low-down pull with hardly any lag and an adequate but progressive power delivery. The clutch is one of the lightest we have experienced in a diesel but the heavy steering will take some getting used to. Neither the steering wheel nor the driver's seat get height adjustability, but the driving position is comfortable and this is an easy and effortless car to drive in city. 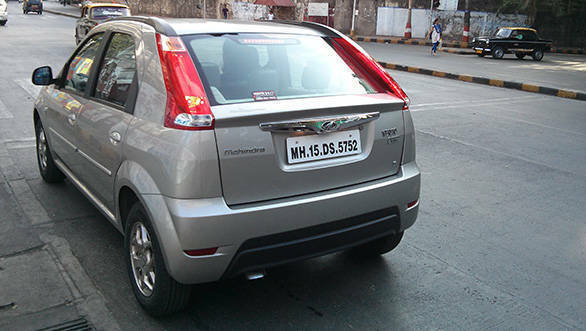 Mahindra likes to describe the Vibe as sporty but it absolutely isn't. It rides well and is a natural and safe-feeling handler, but there's absolutely no sportiness in this package. 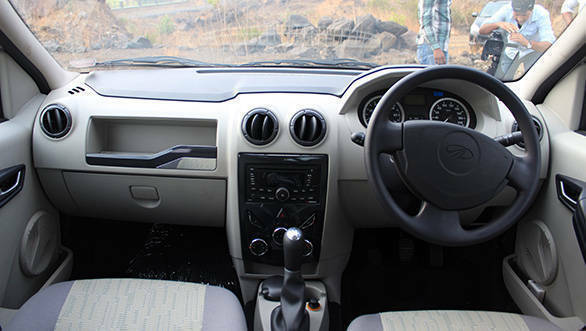 Mahindra have always priced their vehicles competitively and the Vibe is no different. Three models are available and prices start at Rs 5.63 lakh for the base D2, while the top D6 costs Rs 6.49 lakh ex-showroom, Mumbai. It's considerably cheaper than the competition and is a no-nonsense solution for someone who wants an affordable small car to carry five in comfort, but doesn't really need much more. A full comparison with its rivals is just around the corner.